Driving along the sprawling freeways past vast developments towards the towering ocean-front hotels of Fort Lauderdale, it’s hard to imagine that, a little over a century ago, this was a desolate area full of swamps, wildcats, alligators and sharks. Many of the thousands of holidaymakers who arrive here to enjoy the beaches or take a Caribbean cruise from Port Everglades have no idea that tucked away next to a huge shopping mall is a piece of history that stands in memorial to two remarkable people who took a leading part in shaping this city. This riverside house was the home of Frank and Ivy Stranahan. He was a pioneer, originally from Iowa, who set up a trading post with the Seminole Indians in 1893 when only three other white people lived nearby. Ivy, who died only in 1971, arrived by the early train on October 1, 1899, as an 18-year-old teacher, when the settlement of New River had grown to five families and nine pupils. They married within 12 months, despite Frank being 16 years older than his bride. It had to be a dawn ceremony as the newlyweds caught a 6am train that was to take them on honeymoon as far as Niagara Falls and into Canada. 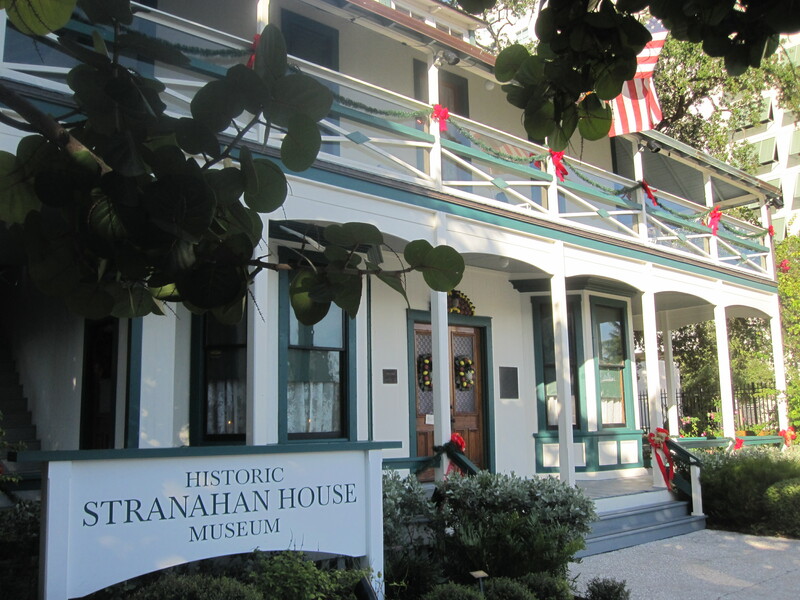 The next year, Frank built them a home – today known as Stranahan House – where they continued to trade with the Seminoles, selling hunting rifles, tools, food and sewing machines in return for wild animal pelts and even live baby alligators. The visiting Indians would sleep on the verandah, children would visit the local cinema, and Ivy – who they called ‘Little White Mother’ – would teach them Sunday school. Frank never drove a car but Ivy acquired a Model-T Ford which she steered along rutted roads to visit the Seminoles and give classes. 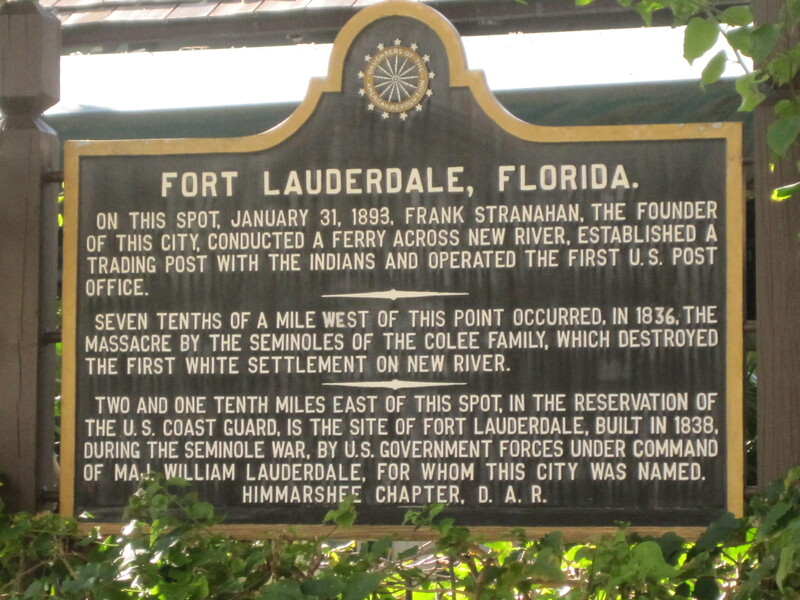 In 1911, the growing city was named Fort Lauderdale after a military outpost set up during the Seminole Wars. Frank became involved in property and banking, made a million, and took small shares in transport, rail, lumber, phone, oil and amusement companies although, in the booming twenties, he complained that ‘city life is too fast for me’. Ivy, a lifelong friend of the Seminoles, also took up other causes including votes for women, the Red Cross, family planning, town planning, a gardening club and the historical society. However, in 1929, after the banks failed and the Depression set in, Frank Stranahan weighed himself down with a grate and threw himself in the New River outside his home. Ivy refused to accept it was suicide and scored the word out of newspaper reports she kept about the death. Devastated, she went into mourning for ten years. In financial straits – Stranahan House had fallen in value from $600,000 to $50,000 – Ivy was forced to let out the ground floor to a restaurant. As a teetotaller, she refused to allow it to sell alcohol – but continued to live on the upper floor, taking meals with the other diners downstairs but never leaving a tip. Despite her personal tragedy, Ivy’s zeal for campaigning didn’t mellow. 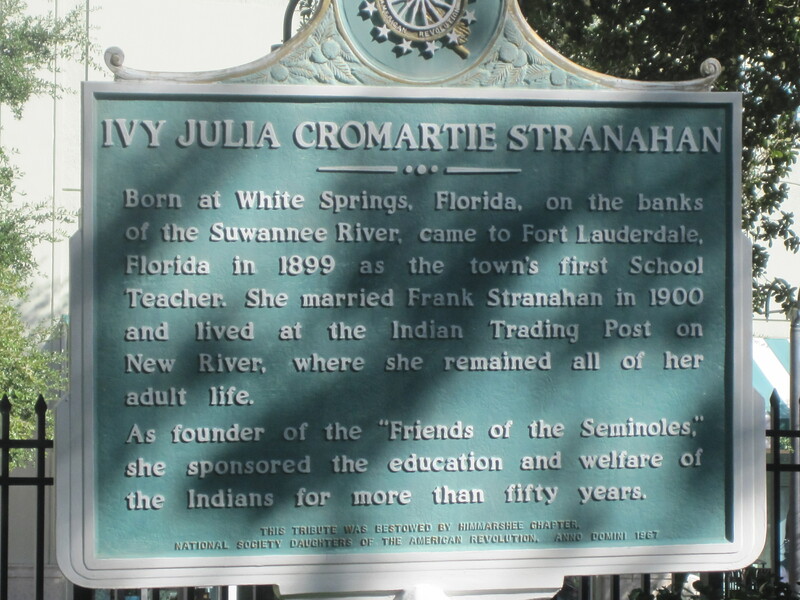 She carried on fighting, particularly for the rights of the Seminoles. She led a successful campaign to prevent government support being removed from the Seminoles, making a personal appearance at a Senate hearing. It was to be one of her last public appeals. Ivy, who never had children herself, died in 1971 and was buried beside her husband in a ceremony attended by native American elders. A Seventh Day Adventist, Ivy left Stranahan House to the church but it was later sold to the Fort Lauderdale Historical Society, of which she was a founding member. Now the home welcomes visitors who can stand on the verandah, looking out to the river, and imagine how it must have seemed to that feisty young schoolteacher who arrived in the wilderness and helped determine a city’s history. Ivy is still fondly remembered by those whose causes she championed. In 2000, a year before Stranahan House celebrated its centenary, the Seminoles pledged $3million they had made from ventures such as bingo towards creating a historical park next to the building. 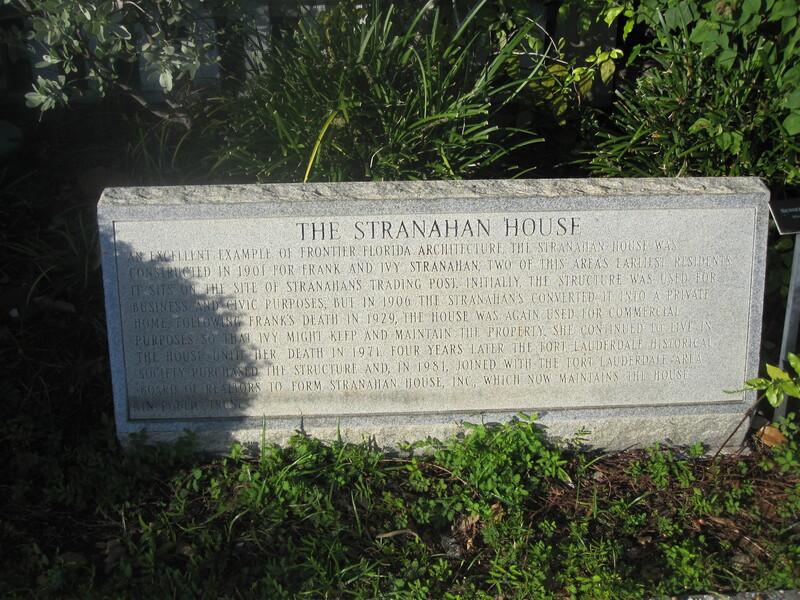 Stranahan House lies 335 Southeast 6th Avenue, Fort Lauderdale. For more information, please click here. 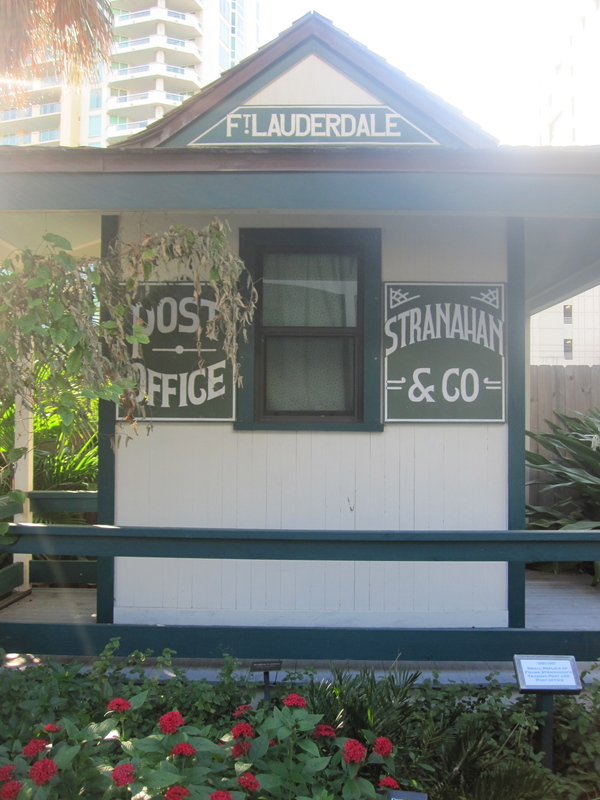 This entry was posted in Destinations, History and tagged featured, fort lauderdale, Ivy Cromartie Stranahan, stranahan house. Bookmark the permalink.